Fine Food Meets Fantastic Fishing! This is no franks and beans camp. We take gourmet fare seriously — and lodge chefs pride themselves on tantalizing your taste buds! 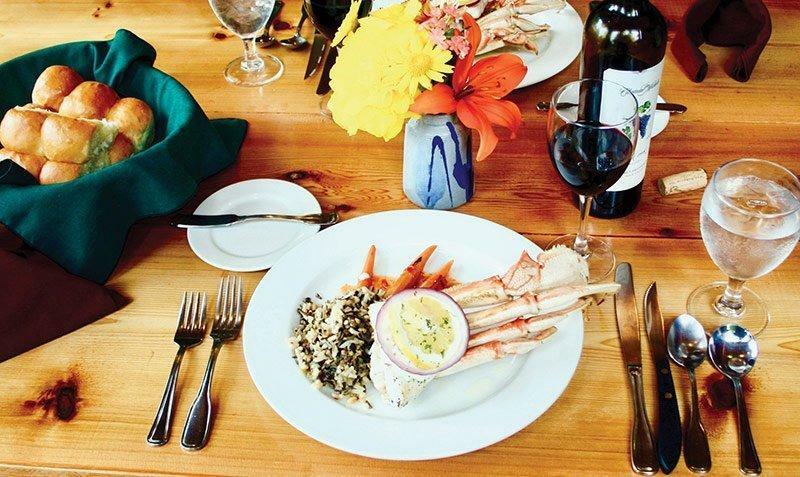 Our culinary staff is carefully chosen to make your dining experience as enjoyable as the breathtaking scenery and phenomenal fishing here in Southeast Alaska. Each day we start off with breakfast made-to-order and end your day with a delectable entree, then deliver a delightful dessert to end a perfect day. Special diets are no problem for our culinary staff. House wine, beer and soft drinks are served with each meal. We would be happy to accommodate your request for specialty wines and mixed drinks at an additional cost. Advanced notice of your particular needs will help us prepare for your stay. Read about our gourmet fare or learn about the culinary staff — better yet, come experience it first hand! "This was my 5th time to visit Boardwalk Lodge. Every year it gets better and better. 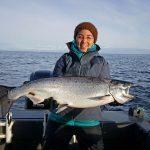 the staff and accommodations are super, the weather great, fishing is excellent and the food and service are top notch! Brad, Jeff and all of the team make you feel like you are part of their family. I look forward to the next time." "We have held a corporate outing at Alaska's Boardwalk Lodge for the last 4 years (and several times in years past), and we have booked our trip for next year. There is no where else that I have been able to find that will provide the hospitality that we desire for our corporate outing. All of our guests continually talk about the great time that they had on the trip. I am not sure you can find an experience like this anywhere else in the world." "I enjoyed myself so much that I am now putting trips together for companies and individuals so they can experience Boardwalk Lodge and take home lifelong memories. EVERYTHING is first class at Boardwalk Lodge, including the staff, who go out of their way to make your stay special." "From the accommodations to the food to the fishing to the personnel at all levels, everything was first class and more than I could have expected. Brad and his people have created a great atmosphere and I can't wait to visit again." Read scores of other guest comments at Orvis, Facebook, Google, and Trip Advisor.